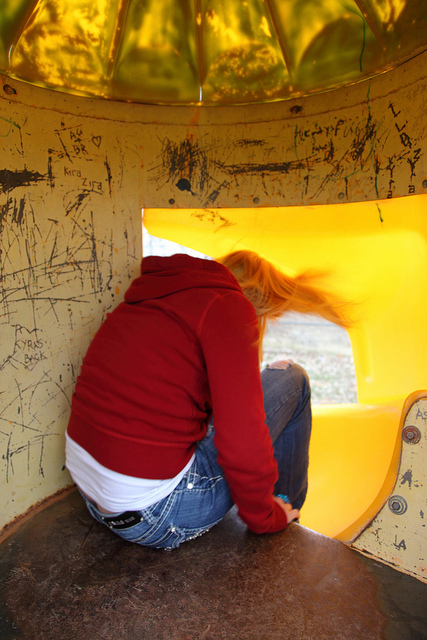 A newly released report from SAMHSA, the national Substance Abuse and Mental Health Services Administration, notes that an average of 12% of girls between the ages of 12 and 17 -- some 1.4 million teens -- experienced a major depressive episode (MDE) in the past year. The report utilized information from the 2008 to 2010 National Survey on Drug Use and Health. In contrast to the data for girls, the rate of MDE for boys in the same age group was 4.5%. Furthermore, the rate for girls rose from 5.1% to 15.2% between the ages of 12 and 15. Data also indicates that older teens are more likely to get treatment for MDE. About 33% of girls ages 12-14 received treatment while 40% of those ages 15-17 had treatment for their MDE. The SAMHSA report noted that the increase in MDE in girls coincides with the onset of puberty and urges targeting middle school teens with prevention and intervention efforts to minimize the occurrence of such depression and to mitigate its impact. Pamela S. Hyde, SAMHSA's Administrator noted "It is crucial that we provide adolescent girls the coping skills and social supports they need to avoid the onset of depression, and to offer behavioral health services that foster resilience and recovery if they experience it." SAMHSA was established by Congress in 1992 and is celebrating its 20th anniversary this year. The National Institute of Mental Health website has a wealth of information on depression in teens, including a link to a teen focused booklet with answers adolescents may have about the symptoms and treatment of depression.